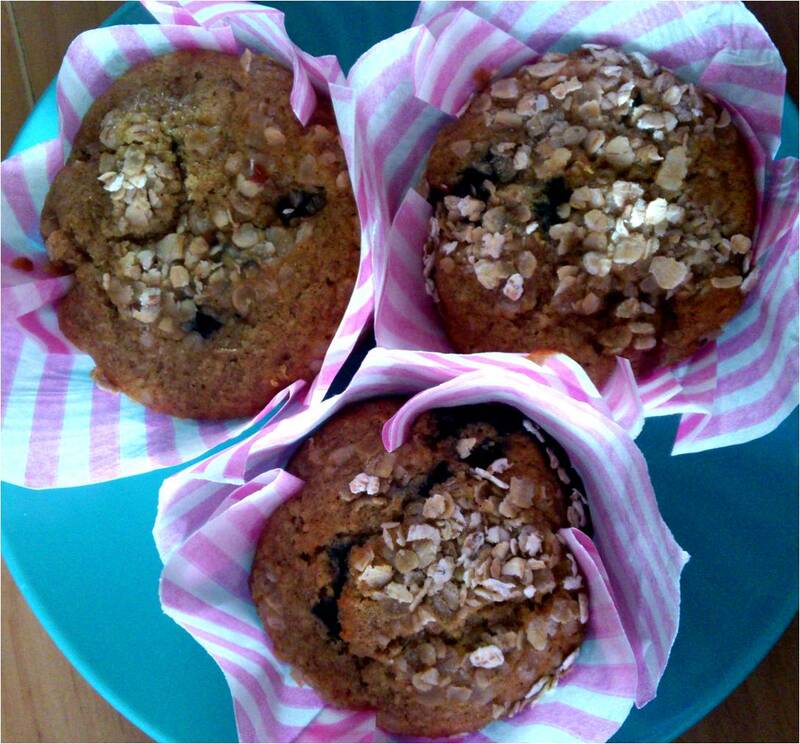 I baked these muffins for an after school 'pick me up' but they would be just as welcome for breakfast on the go, brunch, morning tea or in lunchboxes. 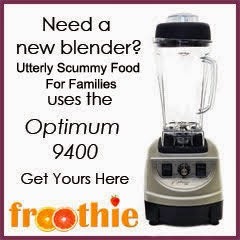 Packed with fruit and fibre they offer a healthy and filling energy boost. I gave a couple of the freshly baked (and still warm) muffins to my girls class teachers and teaching assistants after school they went down very well. Preheat your oven to 180C/160C Fan and line two 12 hole muffin tins with paper cases. Sift the flours, bicarbonate of soda, spice and sugar into a large bowl then stir through the wheat bran. Combine the eggs, oil, milk and vanilla in a large jug. Mix the dry and liquid ingredients together until completely combined, taking care not to beat the mixture. The mixture will be quite liquid, don't panic. Fold through the berries then spoon the mixture evenly into the paper case lined muffin trays. Sprinkle some rolled oats on the top of each muffin. Bake for 20 - 25 minutes. Leave to cool in the tin for a few minutes before transferring to a wire rack to cool completely. I am submitting this recipe to Breakfast Club, created by Helen, where the theme this month is High Fibre. Elizabeth's Kitchen is hosting. I am also entering this recipe into the Feel Good Food Challenge created and hosted by A Kick At The Pantry Door. The superfood this month is Blueberries. These muffins also contain raspberries so I'm joining in with One Ingredient created and hosted alternately by How To Cook Good Food and Franglais Kitchen who is hosting this month. The One Ingredient theme this month is Raspberries. 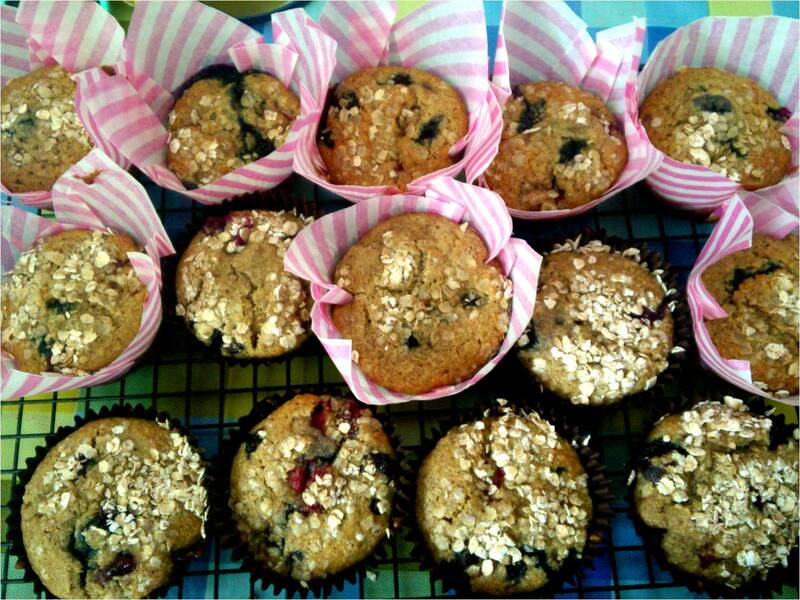 The blueberries and raspberries I used in these muffins were reduced to 50p a punnet in my local Asda so therefore I am also entering them in to Credit Crunch Munch for this month. Credit Crunch Munch is a monthly recipe blog hop for frugal, thrifty and money conscious recipes which was created by Helen and Camilla. Delicieux is hosting this month. I am also submitting these muffins to a new blog challenge called Four Seasons Food which has been created, and is hosted by, Delicieux and Chezfoti. The theme is Picnic Food and Outdoor Nibbles. I think these muffins would be a great addition to a picnic hamper, and we will be taking some to our allotment for a snack to fuel our weeding and planting this week. These sound like a perfect high fibre breakfast. My youngest had one look at your photo and said, "Awesome! I love those!" :) Thanks for sharing your recipe with the Breakfast Club! These look like fabulously healthy muffins on all counts! And pretty too. Thanks so much for entering them to the Four Seasons Food Challenge, they'd make a wonderful picnic basket addition! Yum! There's no way I could resist one of these at any time of the day! Thank you so much for taking part in the first ever Feel Good Food challenge!